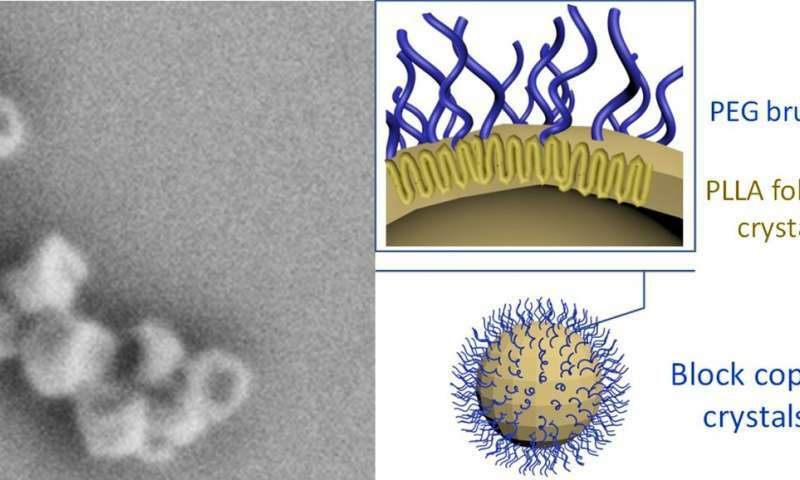 "Delivery vessels have traditionally been designed to avoid recognition by the immune system by mimicking naturally occurring materials in the body, such as cells or liposomes," said Christopher Li, Ph.D., a materials science professor in Drexel's College of Engineering. "But the problem with the previously reported artificial carriers is that they're not always durable enough to get to the far reaches of the body." Li and Hao Cheng, Ph.D., an assistant professor in the College of Engineering lead a group of researchers who have been developing a polymer crystal casing for intravenous medicine delivery. Their work, which was recently published in the journal Nature Communications shows how these "crystalsomes," designed to be durable enough for long, intravenous journeys, can outlast current artificial nanoparticle packaging—which means doctors can use it to directly treat maladies in the body, with precisely the right amount of medication. 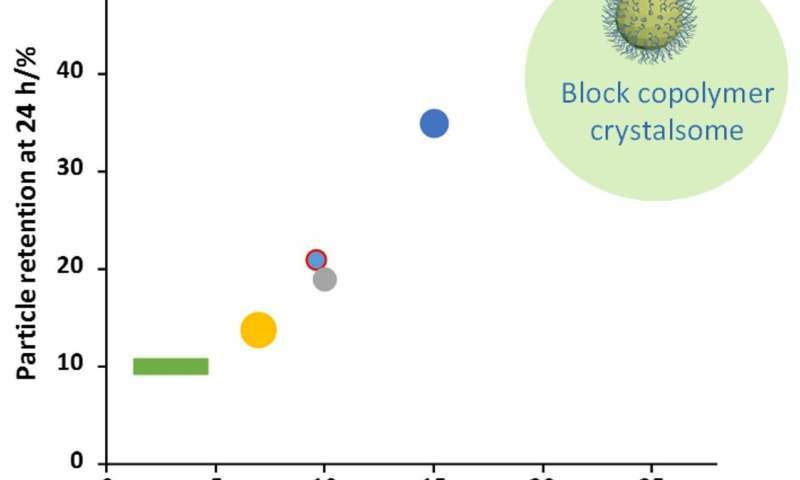 In blood circulation and biodistribution experiments, Li's polymer crystalsomes have a 24-hour half-life and can last in the bloodstream for more than 96 hours—figures that far exceed current injectable medication.